The Under Raidar bootleggers just took a trip across the pond to discover and experience London's best hidden speakeasy bars and, for a country that never even had a prohibition, we were mightily impressed - once we found them that is! The London cocktail scene is booming and they've crafted prohibition bars down to a fine art. 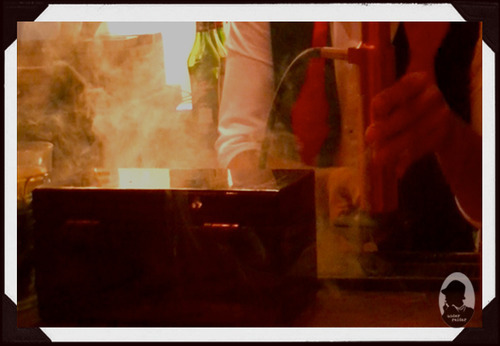 The bartenders don't just create luscious libations, with experimental twists, they perform mind-blowing cocktail showmanship. After experiencing some of London's most captivating cocktail theatrics it proved Stateside to be a little wet behind the ears. After a lot of drinking researching, which involved a lot of drinking researching some more, we're giving you the low-down and thirsty on a selection of London's best hidden nightlife spots for whenever you cross the pond. So let's get your drink-hole a little bit wet because, after reading this, there won't be a dry mouth or eye in the house. Tucked away in the heart of Marylebone, in a vaulted Georgian basement, we stumbled upon Purl - an innovative and multi-sensory 1920s prohibition bar. 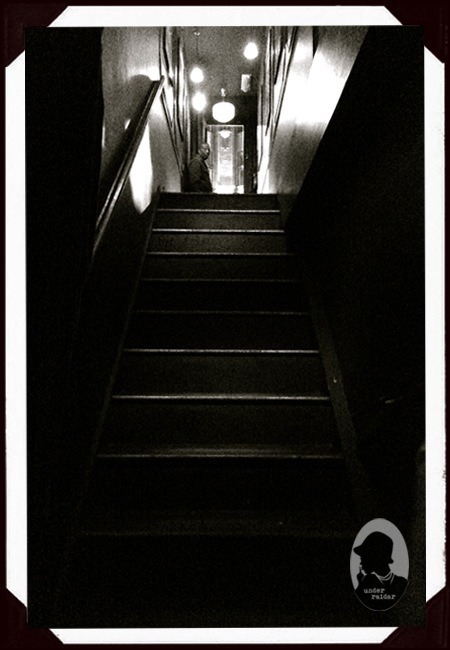 Look for the sign and descend down the dark stairs to enter the secret prohibition nirvana where anything could potentially go up in smoke or out with a bang! Here's the full exposé of Purl's multi-sensory stimulation (with eye-gasmic photo evidence). 2. 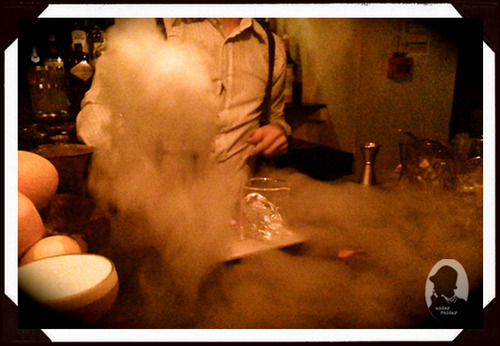 Nightjar, Hoxton: The Speakeasy That's No Fly-By-Night. Here’s what you'll find inside Nightjar; a bar that yells speakeasy and serves you the 1920s in the glassiest of ways. 3. Bart's, Kensington: Worst Kept Secret. Best Inside Job. Get the full inside information on Bart's (with glorious photo evidence) here. Get the full backstory of what you'll find behind (and through) the looking glass. Walking in Soho, on a Saturday night, we were looking for Milk & Honey to make our 10.30pm reservation. After scaling streets across the world looking for hidden bars (and considering ourselves experts) we still love the thrill of discovery. We automatically look for inconspicuous entrances/doors/windows but Milk & Honey challenged us. We retraced our steps and finally saw an unmarked maroon door that looked like any other. No sign, no number, just a rectangular glass peephole showed us we'd arrived. Read the fully poured version of events at Milk & Honey right here. 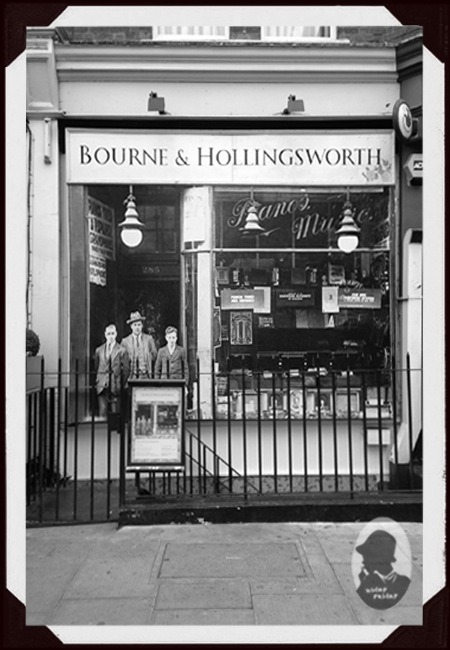 On the corner of Rathbone Place in Fiztrovia it looks like the old Bourne & Hollingsworth department store. Get a little closer and you’ll see it is, in fact, a mural, a facade, a hoax even. We took flight down the metal stairs to reveal a basement cocktail bar, decorated as an old English tea room, with a fireplace and classic floral wallpaper reminiscent of your Grandma’s house - but this is not your Grandma's house. See the full English teatime tale of what makes Bourne & Hollingsworth well worth a visit! 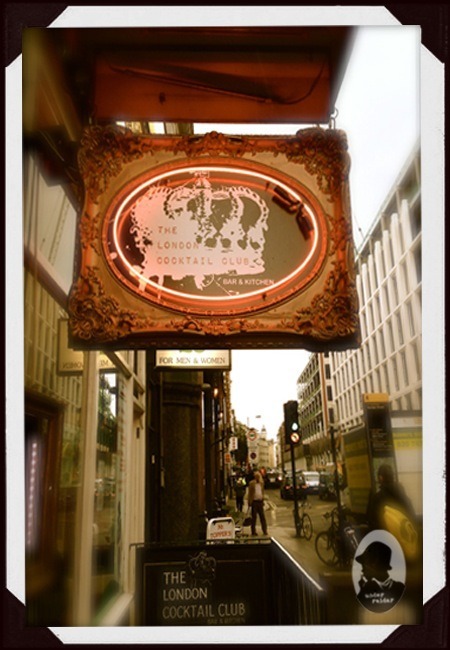 The London Cocktail Club is rather special; they’re a club you’re going to want to experience again and again for the many adventures that await! They are not just one, but 4 bars, with different themes, different personalities and wickedly different drinks. 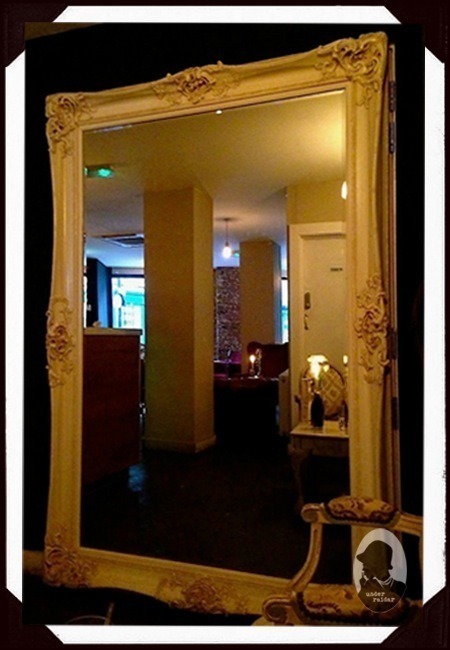 You need to visit each one to really soak up their individual personalities and definitely their drinks. Access the full low-down on London Cocktail Club right here! 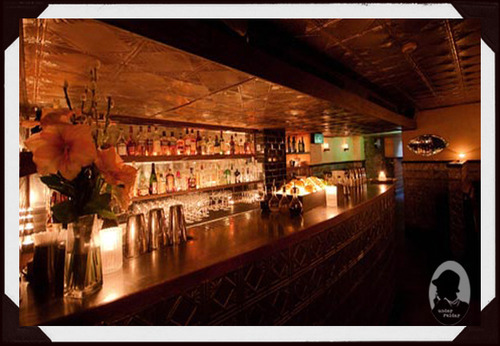 Under Raidar are your prime prohibition bar source. We're dedicated to bringing you top secret nightlife in London, Los Angeles, San Francisco, San Diego, Portland, Seattle and New York. We're expanding into more and more cities and dedicated to the art of the modern-day speakeasy bar. Find easy. Drink easy. Speakeasy.